The two main ingredients in this soup may not be obvious bed fellows, but their union was inspired by a single person. 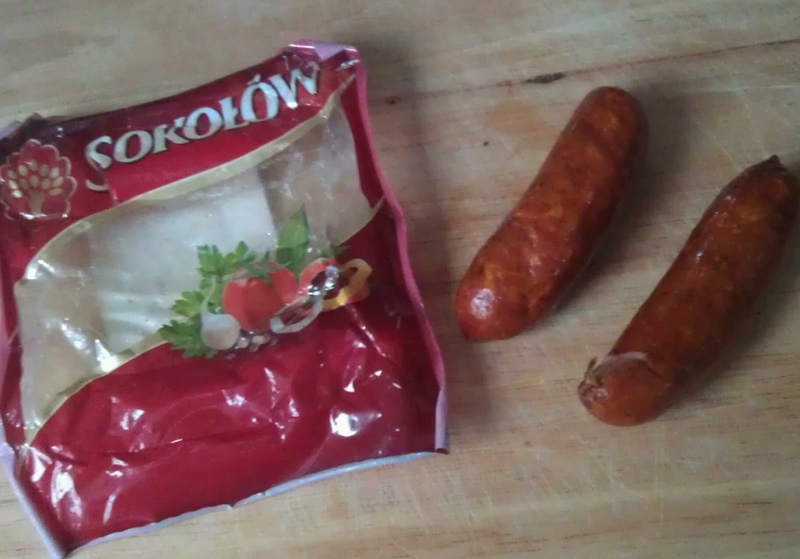 One of my closest friends is from Poland and she has opened my husband’s and my eyes to the delights of Polish food. Cabbage soup is one dish which has become a staple in our house, especially at the time of year when we need to shake a few pounds loose. Her traditional version of Polish cabbage soup has cumin, onions, chicken stock and chopped tomatoes and is served with a dollop of sour cream and a sprinkling of dill. Yum, yum! Having had that on a number of occasions, but still needing to decrease our respective circumferences, we decided to branch out and find another version of cabbage soup. What I stumbled upon (on Epicurious) was a real treat. Scandinavian Brown Cabbage Soup is delicious, healthy and comforting on these cold January nights. I’ve made a couple additions: thinly sliced white or yellow onion added with the cabbage and, the most recent and another I am grateful to my Polish friend for introducing me to, Polish kielbasa. 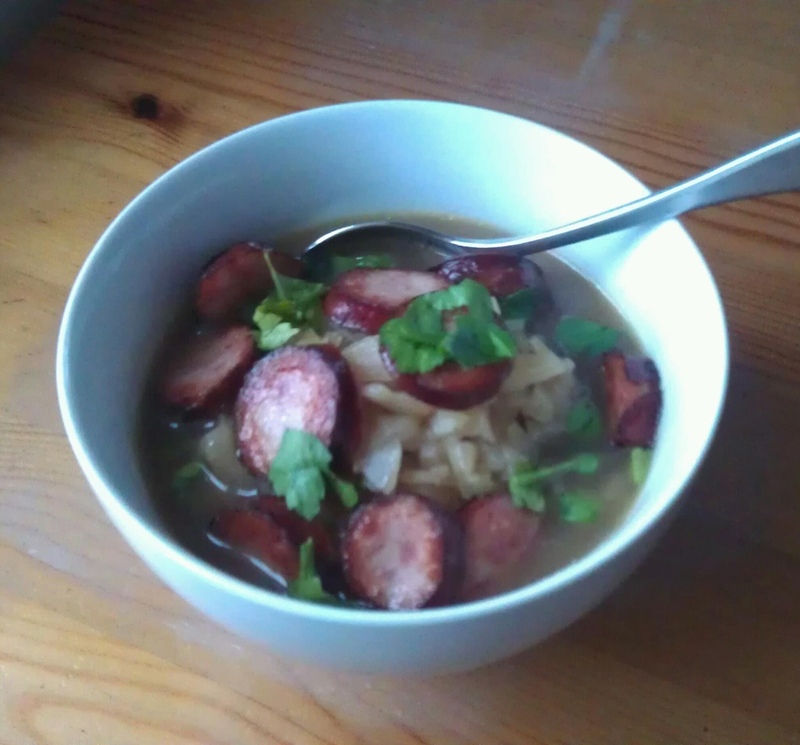 The smoky, slightly spicy meatiness of the sausage adds a pleasant (and sometimes necessary) heft to this soup and breaks up the monotony of slurping up boiled cabbage for days at a time. 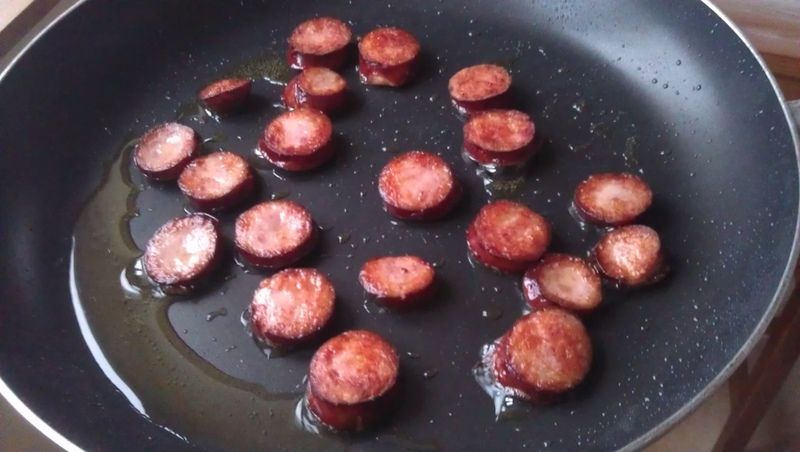 No, the sausages are not exactly healthy. But even half a sausage per bowl of soup, simply crisped in a dry frying pan, adds a different dimension and all for only 132 calories. Garnish with dill or parsley and sour cream or fat free yogurt and feel your worries (and those unwanted Christmas pounds) melt away! For other versions of this soup, see Scandinavian Cabbage Soup, Mexican-Style Cabbage Soup and Cabbage Soup Takes the Far East.